Q1: Who advocated that India would be truly independent only when the poorest of its people becomes free of human suffering? Q2: What is social exclusion ? Give one example of it. 1. 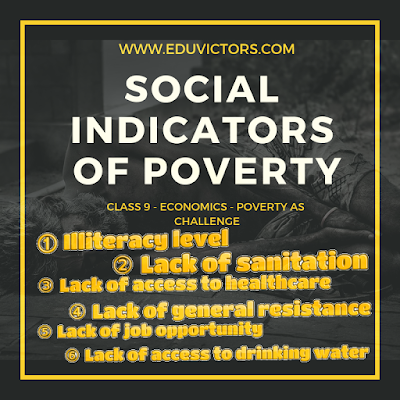 According to the concept of social exclusion, poverty must be seen in terms of the poor having to live only in poor surroundings with other poor people, excluded from enjoying social equality with better-off people in better surroundings. 2. It is a process through which individuals or groups are excluded from facilities, benefits and opportunities that others enjoy. 3. Its typical example is the working of caste system in India. In this system, people from certain castes are excluded from equal opportunities. Q1. Why calorie requirements in rural areas are fixed at a higher level than urban areas? calorie requirement is more in rural areas. Q2. 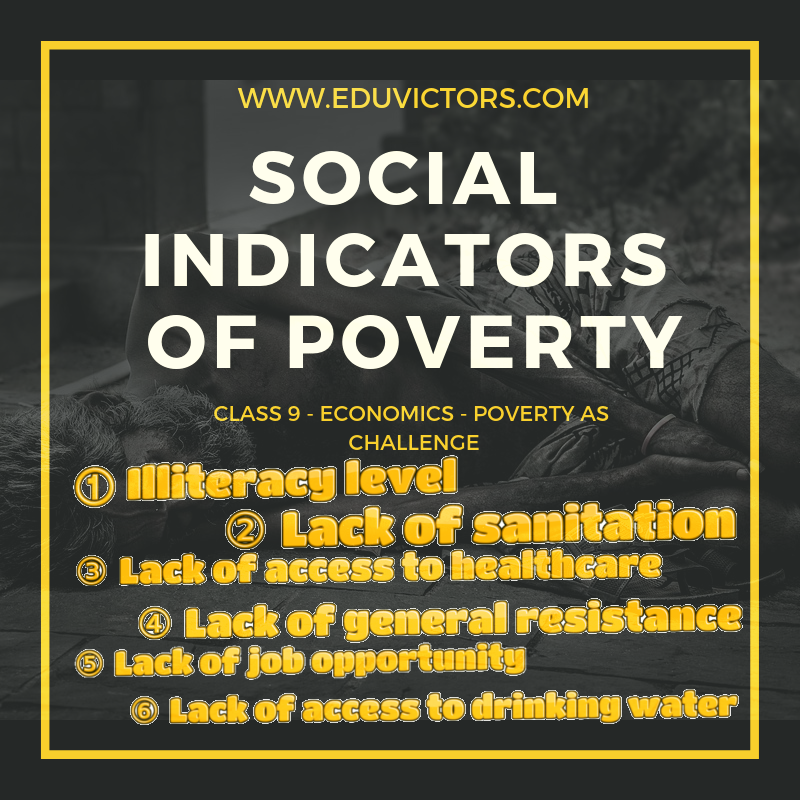 Describe the poverty trends in India since 1973. (i) The proportion of the people below the poverty line declined from 55% in 1973 to 45% in 1993-94 and 37% in 2004-05. It has further declined to 22% in 2011-12. (ii) The number of poor people declined from 407 million in 2004-05 to 269 million in 2011-12. 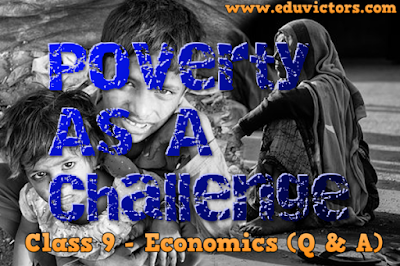 (iii) There is a standard decline in poverty ratio in India for both rural and urban areas.